After a glorious winter, the warmer weather has heralded the arrival of our ‘summer birds’. Loud calls from Koels are particularly evident in the morning and at dusk while the chortling of Orioles is a constant in the background. Allen recently observed 20+ Double-eyed Fig Parrots in a flock flying from one part of the property to another and today there were 60+ enjoying a fruiting Fig (Ficus benjamina). 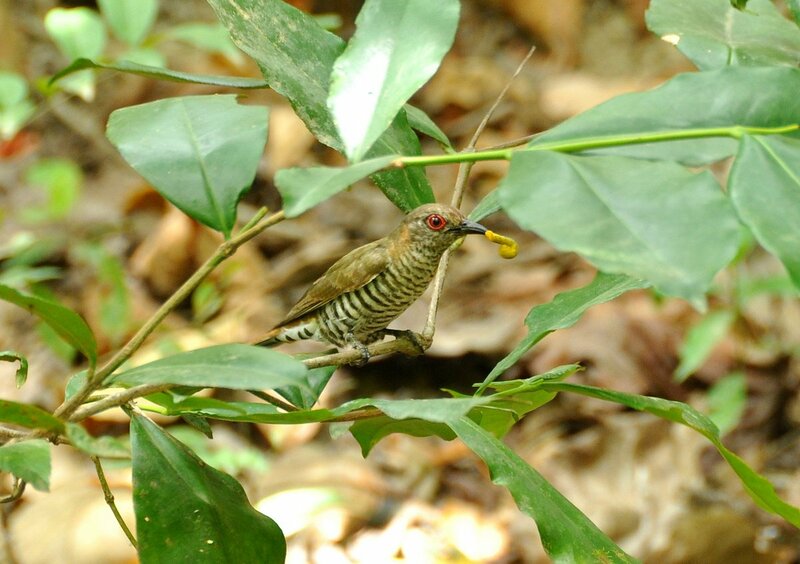 Gould’s Bronze-Cuckoo, Brush Cuckoo and Cicadabirds have also been very vocal and Pheasant Coucal make their ‘bottle glugging’ sound late in the afternoon. The loudest call is from Great-billed Heron, clearly heard from the creek and occasionally much closer as it has been regularly feeding along the edge of our wetland. 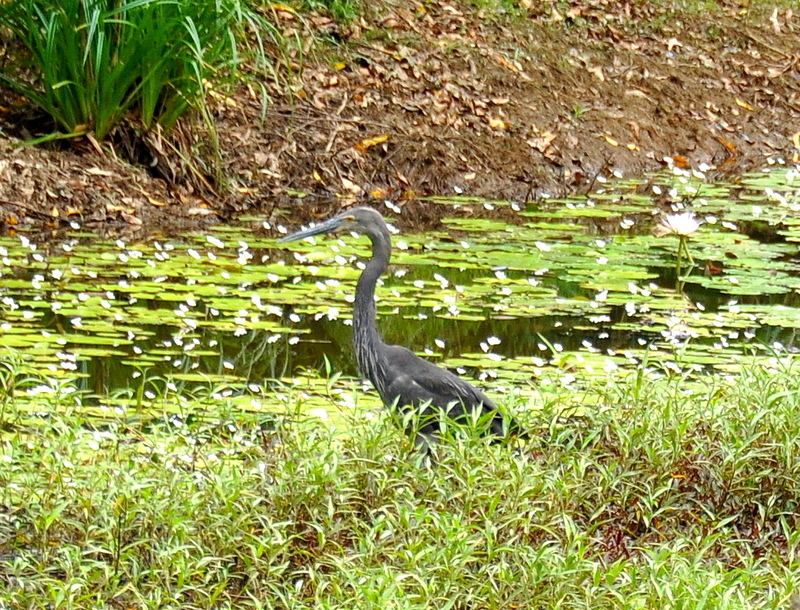 As the water level in our ponds drops Great and Intermediate Egret, White-necked Heron, Black-necked Stork, White-faced Heron, Royal Spoonbill and Australian Ibis join the Great-billed Heron in the shallow water. One of the resident Azure Kingfishers provides a dazzling splash of colour as it dives for fish from a variety of perching posts which it shares with Pied Cormorant and Darter. Pacific Black Duck feed happily nearby. Our major restoration projects are complete and will only become more attractive habitat in future years. While it is rewarding to observe the growth in the vegetation, watch trees mature and to delight in the variety and number of birds residing and visiting the property we feel it is time for us to move on. Until we find a suitable buyer we are enjoying our paradise and while continuing to maintain and improve many areas, we are also taking time out to just enjoy what we have helped to create. It is a delight to walk along our tracks observing birds and other wildlife so we are going to make the most of just being here. 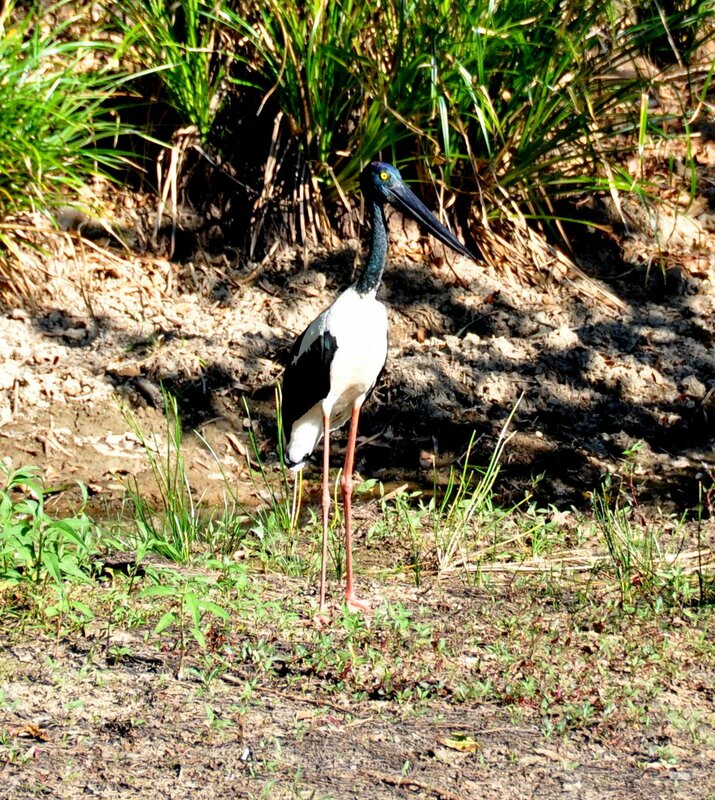 This entry was posted in Bird Observations and tagged Black-necked Stork, Daintree Eco-tourism, Daintree Ecoproperty for sale, Daintree property for sale, Ecoproperty for sale, Gould's Bronze-cuckoo, Great Egret, Great-billed Heron, Koel. Bookmark the permalink. Could you please get in contact with me so that I can send you a formal request for permission to archive?